The Living Local Fair is a must do event for locavores, foodies and craft lovers in and around Ottawa. It was my first time attending this fast growing fair and it did not disappoint. I headed out to St. Thomas Aquinas high school in Russell, Ont., yesterday with my 3.5 year old for some mother-daughter time. She loves going to fairs and markets with me because she sometimes gets her face painted and always ends up with a tasty treat (or two). I love it because it’s a wholesome approach to shopping that is unparalleled by any other shopping experience. By taking my girls to community events like these, they will learn the value in meeting the growers and vendors whose very hands produce and provide top quality goods and edibles. They will see how people use their resources, skills and talent to develop thriving businesses. They will cherish the community in which they live. They will know where their food comes from. Plus, it’s a really great social event and the cheese is always so amazing. So off we went to the Fair in Russell, a quaint rural(ish) municipality, only 30 minutes from the capital. It drew a large crowd of people from all over the region and there is something spectacular about a large group of like-minded people gathering to support local artisans, food producers, farmers, businesses and organizations. There are so many vendors and exhibitors that the the lower level classrooms are transformed into vendor rooms. The gym, cafeteria and hallways were filled with wonderful products and people. 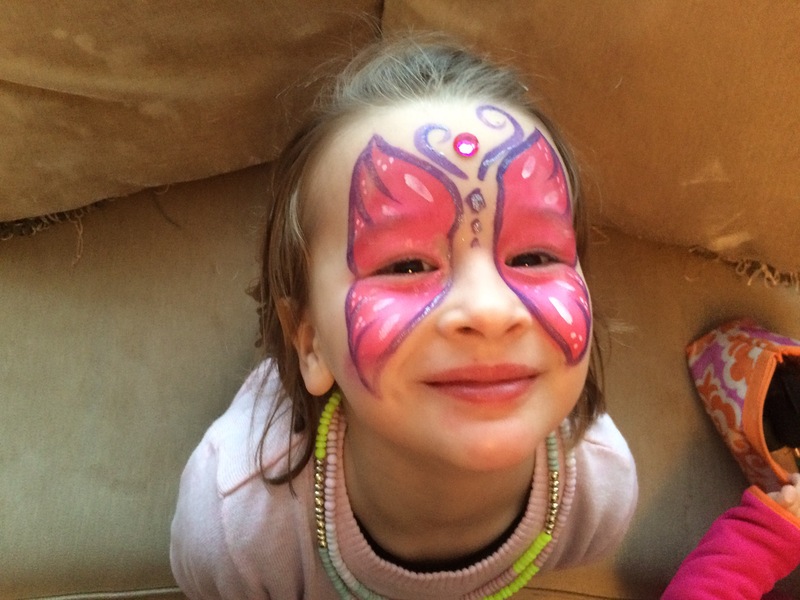 From locally produced cheeses, meats and honey, to organic seeds and teas, and a theatre group painting youngster’s faces, there was something for everyone. Including this little one. It’s always nice to see familiar people from farmers markets around the city and to meet some some new faces. How I love this guy. 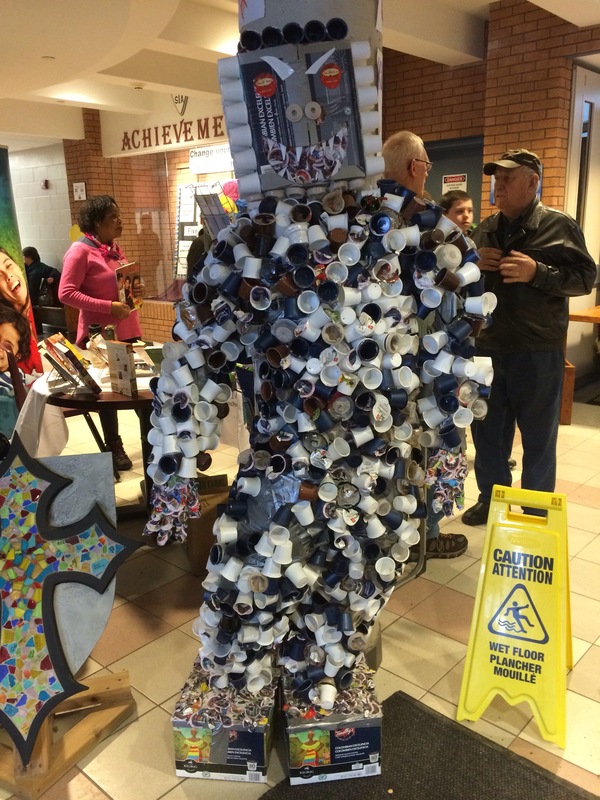 He is an eco exhibit created to bring awareness to the waste we produce. And what a great lesson he teaches and a perfect place to be displayed. Pods are not recyclable, compostable, reusable or biodegradeable. In fact, Keurig’s Green Mountain fiscal report for 2015 states that it sold more than 10.5 billion pods that year alone. Ann, the very kind volunteer who greeted us on upon our arrival, and who later directed us towards the face painting booth, was the teacher behind this eco project. She also brought a greenhouse and garden to the school. I am a firm believer that schools (and parents and caregivers, too) should teach students the importance of gardening and growing food and here is Ann, doing it. I hope that my own children have teachers like Ann. I wish I would have had teachers like her. A lot of people truly care about eco matters and it’s refreshing to see them educating the young and the not so young. I’m sure she and her pod monster inspired a few people at the Fair to rethink the waste they produce. She undoubtedly inspires her students and colleagues everyday. The Living Locally Fair was a great experience on so many fronts and I picked up some delicious treats along the way. I just wish it happened more than just once a year! My loot. Some are old favs, including the amazing blue cheese from the Fromagerie Montebello, peperettes from Trillium Meadows and duck eggs (a rareity this time of year). And some new products to try, including sausages from Korean sausages from L & J Foods, nuts from Owl’s Nest and organic seeds from Greta’s Organic Seeds.